You may not know this about me, but I love to eat. Unfortunately, I always find myself on the go-in the car, running errands, attending at least two football games a week–none of which lend themselves to sitting down and having a healthy meal. For me, food is all about snacking (at least until the high school football season is over). Now that I’m solidly in the “grown-up” stage of my life, it’s time I stopped reaching for bags of chips and candy bars to throw in my purse and find something that’s healthy but still satisfies my enormous sweet tooth! I was able to trial three different flavors of a brand new healthy snack option–goodnessknows snack squares. The standout to me was the cranberry, almond and dark chocolate combination. There are four individual squares in each package for a total of 150 calories. I don’t know if it’s the almonds or the dark chocolate, but I found that half a package was rather filling and satisfied my cravings for crunch, sweetness and chocolate!! So where did I find myself eating the goodnessknows snacks? I threw a bunch of them in my bag to take to my son’s football game…which was a nice change from the concession stand options! The other moms fans enjoyed my extra snacks too! 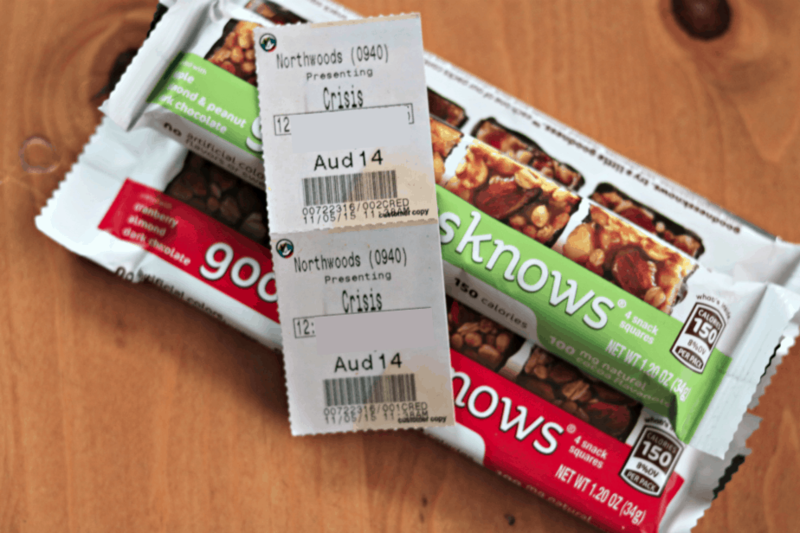 Shh….I snuck them into the movie theater instead of getting my usual combo of large popcorn and a box of Hot Tamales! The worst time of day for me is right at 4pm…that’s the time of day I just NEED something sweet to snack on!! I don’t know if it’s because I’m finally sitting down for a moment in front of the TV or what, but that’s when I lose all willpower. Having something relatively healthy that’s ready-to-go out of the wrapper is perfect, and like I mentioned earlier, one square is pretty filling, so I don’t even finish a package! What time of day do you find yourself reaching for a little pick-me-up? What is that you choose? 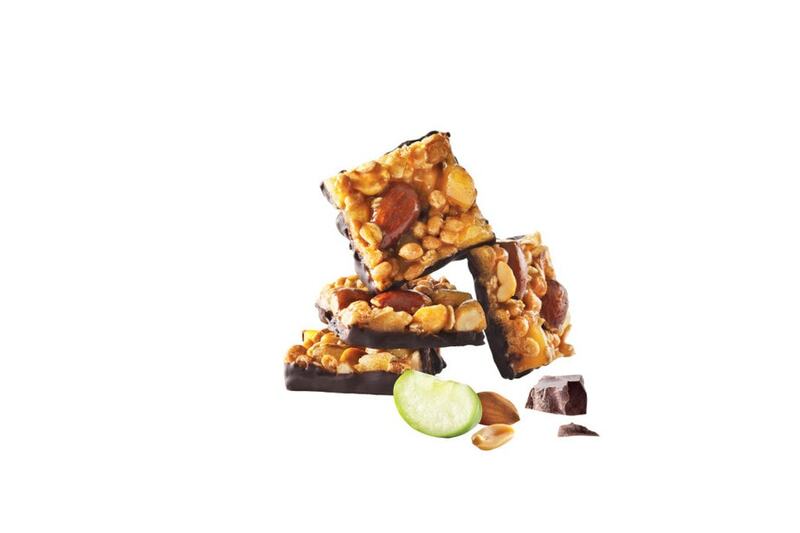 Would you consider giving one of these goodnessknows snack squares a try? Let me know! I’ve been wanting to try these for some time. Do you have any coupons? Whoa! What happened to your right hand in the last photo? It looks totally warped… hope you’re okay!